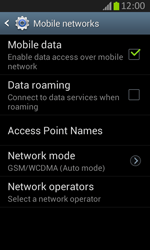 MMS settings can not be sent to your Samsung Galaxy Xcover 2 via SMS. 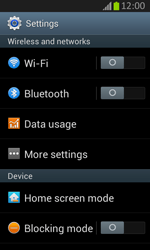 You can configure your phone manually for MMS. Follow the step-by-step instructions below. Note: An internet connection is required to send and receive MMS messages. If necessary, in the menu on the left, choose the relevant instructions in order to configure an internet connection for use. Continue with the MMS configuration. Under Name, enter BASE MMS. Under MMS proxy, enter 217.72.235.1 (be aware of the dots). Under MMS port, enter 8080. 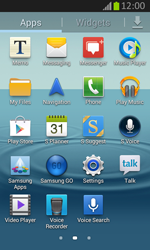 The Samsung Galaxy Xcover 2 has been configured for MMS. Switch the Samsung Galaxy Xcover 2 off and then on again to activate the settings. If the MMS is successful, you will receive a confirmation within a few minutes. 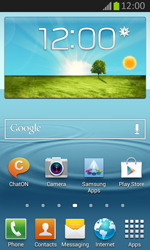 Check the messages inbox of your Samsung Galaxy Xcover 2 if you have received the MMS.